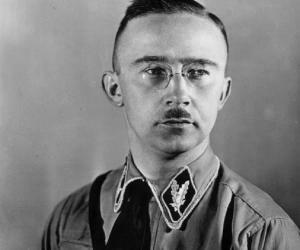 Here is the list of famous Nazis, who came into the limelight for their brutality. While talking about the Nazis, one is almost instantly reminded of the infamous German dictator Adolf Hitler. 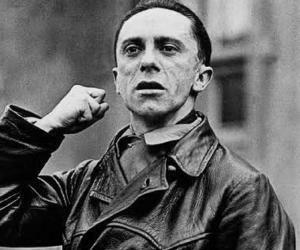 The man propagated, or rather forced, his ideology – Nazism among the masses. His political outfit, the Nazi party was also built on the same ideology. The admirers of Hitler, members of the Nazi party as well as the army and police personnel of yesteryear Germany (ruled by Hitler) were collectively called the Nazis. The Nazis had occupied several parts of Europe and imposed one of the most notorious styles of governance ever, perhaps one of the worst in history. The Nazis are remembered for their hatred towards Jews and atrocities committed on the members of the community. Several concentration camps were set up by the Nazis to cage the Jews residing in Germany, Austria and Poland. Millions of Jews were forcefully imprisoned in these concentration camps and subjected to inhuman treatment. Most of these prisoners succumbed to the pathetic living conditions and many others were mercilessly shot dead by the Nazis. Interestingly, Nazi chief Adolf Hitler seldom spoke about his hatred towards the Jews and the atrocities committed in the concentration camps. Several celebrities during recent times have received the title of being ‘Nazi sympathizers’ for speaking high of Adolf Hitler. Hollywood heartthrob Arnold Schwarzenegger was the subject of controversy quite recently for being a fan of the Nazi dictator. However, the ‘Terminator’ star has rubbished these claims. The internet is flooded with stories of many Nazis, who came into the limelight for their brutality.